A Bell Gardens councilman who simultaneously serves as a director on the local water board is being investigated by the Los Angeles County District Attorney’s Office, which requested records of all transactions related to the city’s water services. The D.A.’s Public Integrity Division made over a dozen public records requests last week, demanding copies of payments, invoices, agreements, budgets and any documents related to the city’s water services since 2012. The district attorney also singled out Councilman Pedro Aceituno, requesting all documents related to his campaign finances, compensation, stipends, reimbursements and benefits while serving as councilman. “The Public Integrity Division is reviewing a matter related to Bell Gardens. However, we do not comment on the nature or the extent of the review,” the office said in a statement to EGP. In an email sent to EGP Wednesday, Bell Gardens City Manager Phil Wagner said the city council and staff intend to fully cooperate with the District Attorney’s request to review certain public records. “The demand is very broad in scope and it will take some time to gather the documents, however, we will respond in as timely a manner as possible,” he wrote. The investigation comes just weeks after Councilwoman Jennifer Rodriguez requested that the city attorney look into the legality of Aceituno serving as both a city councilman and a member of the Central Basin Municipal Water District Board of Directors, a position he was elected to in November 2016. Rodriguez is at odds with her fellow council members, who recently took legal action to remove her from her council seat on grounds that she was absent from over half of all city council meetings held in 2016, effectively “vacating” her office. In response, she accused Aceituno and Councilwoman Priscilla Flores of political wrongdoing, and called for Aceituno to be investigated. 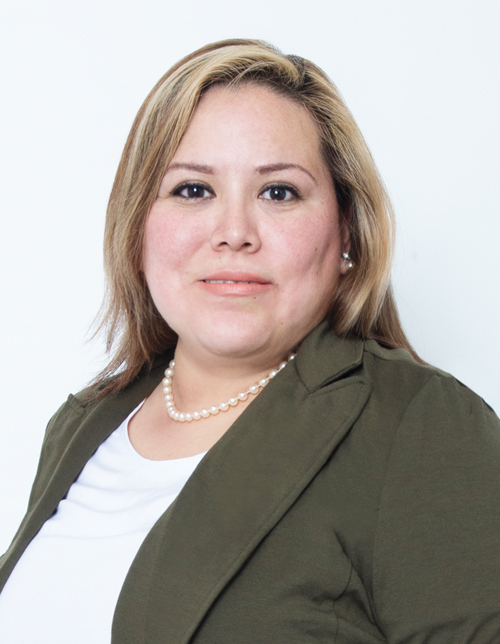 Aceituno currently serves as board vice president and represents Division 1, which covers the cities of Bell Gardens, Downey, Montebello, Pico Rivera, West Whittier-Los Nietos, and unincorporated areas of Los Angeles County. The D.A.’s public record’s request includes all documents related to the city’s interactions with its two water suppliers, Park Water Service Company and Golden State Water Company, including all contracts, invoices, payments, rate increases, water quality reports and any complaints from residents or businesses objecting to the costs or quality of the city’s water. It all asks for all communication between the city’s administrators, city attorney, councilmembers, staff or its water suppliers and the Central Basin Municipal Water District. Central Basin received a similar request from the D.A.’s office last week, asking for any documents that relate to water services, water costs, water quality or water conservation that impact Bell Gardens. The D.A. was also interested in any documents related to the election of Aceituno, his compensation and any benefits he may receive, including life insurance, retirement, medical, car allowance and computer or technical allowance. In a statement to EGP Thursday, a spokesperson for Central Basin assured the agency is working on responding to the D.A.’s request. While it’s not clear what prompted the D.A.’s action, the items requested seem to suggest the integrity unit is investigating whether Aceituno should be barred from holding two offices or if he used his position on the council to approve favorable contracts with the city’s water wholesaler. Bell Gardens City Manager Phil Wagner previously told EGP there was no legal reason for Aceituno to step down from office since the D.A. had not raised an issue. He went on to explain that Aceituno did not deal with the day-to-day activities involving the water wholesaler and that the councilman has always taken precautions to avoid conflicts, often abstaining from votes or even leaving the room during a vote that could be perceived as a conflict of interest. During his campaign for the water board campaign, Aceituno touted his experience dealing with water issues. In 2007, he was recognized by Central Basin for his role making Bell Gardens the first city in the region to embrace a citywide conservation program through use of a conservation grant. The councilman previously told EGP he saw no conflict in holding two public offices at the same time, pointing out that he has never hidden the fact that he was also a Bell Gardens’ councilman. “Folks still chose to elect me,” he told EGP following the election. 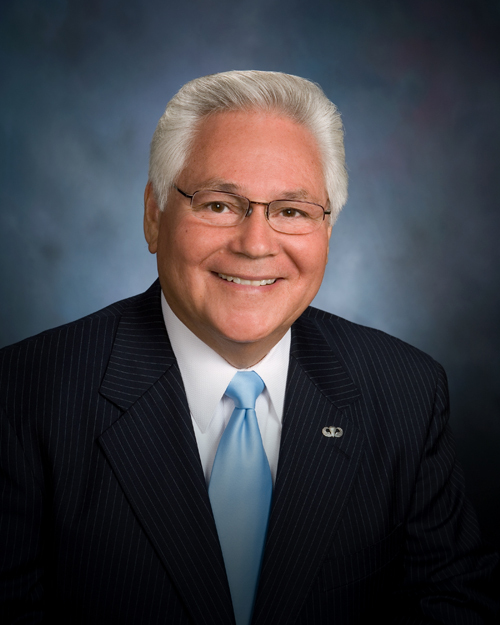 Aceituno was elected to the Bell Gardens City Council in 1999 and is the city’s longest sitting elected official. Aceituno did not respond to EGP’s request for comment on this article. Update: May 4, 2017 11a.m. to include a statement from Bell Gardens City Manager Phil Wagner. Update: May 4, 2017 2p.m. to include the D.A.’s request for Central Basin’s records and statement from the agency. Hoping to restore the public’s trust in the scandal-ridden Central Basin Municipal Water District, the makeup of the agency’s board of directors will soon change to include three new appointed directors, with a call for nominations starting next week. Assembly Bill 1794, signed by Gov. Jerry Brown in September, requires the agency to appoint three directors based on a vote by its customers. The three new members will join the five publicly elected members currently on the board. However, in 2022 – following the 2020 census – the board’s makeup will change again, transitioning to four elected and three appointed directors. Unlike elected board members, appointed directors will be required to meet certain qualifications and restrictions mandated by the state law that strives to eliminate potential conflict-of-interest issues. The appointed directors must have five years of water experience and will be limited to one term. They are prohibited from receiving a car or communications allowance, and cannot own more than .5% of a private company. Three separate selection committees will be formed to make the appointments, with each group making one appointment. The first group will be made up of representatives of the Central Basins’ five largest water users, the cities of Vernon and Santa Fe Springs, the Golden State Water Company, Liberty Utilities and California Water Service. The second group will include a representative –likely the city manager – from each of the 19 cities the agency services. The third director will be selected by a vote of all retail agencies that is proportional to the number of service connections each retailer has. The process outlined did not sit well with current board members. 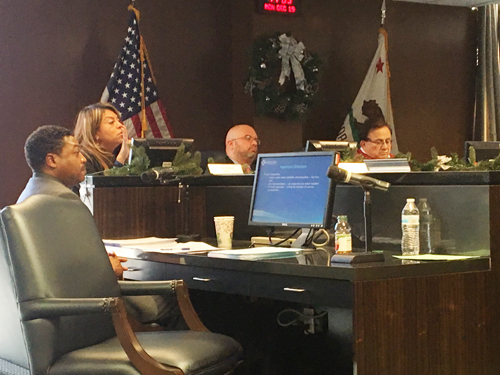 Director Leticia Vasquez, who represents the cities of Lynwood, South Gate, Florence-Graham, Willbrook and portions of Compton in District IV, repeatedly expressed her concern that not every user will have an equal voice. Although the agency services 41 large water users, only five of those will get to vote under one category, she pointed out. Central Basin’s General Manager Kevin P. Hunt said every customer would be represented under one of the categories. He reiterated that the process is dictated in the legislation, adding that the agency had limited input. Nomination ballots are due Jan. 24 and will be opened in public the following day. By Jan. 31, voting ballots will be delivered to purveyors who will have until Feb. 21 to return them. The results will be announced Feb. 22 and the new directors will be installed March 3. Hunt acknowledged that while he disagrees with the process, it is the last thing state auditors recommended the agency do following a scathing report that found widespread-mismanagement, conflicts of interests and poor leadership at the agency. He added the process will provide good candidates and ensure that selections are not made in a back room. “We have to get over 40,000 to get voted in while five agencies can put a director on a public agency, I don’t see how that could ever work,” he complained. Hunt acknowledged that while there use to be a lot distrust of the water agency, things are turning around, referring to the Central Basin’s successful bond sale last year, which increased its bond rating. “We’ve come a long way,” Hunt said. State lawmakers based the bill on state auditors’ recommendations that called for more technical expertise to the board. “The Central Basin Accountability bills will better protect consumers and begin to restore the public’s trust and ensure the District stays on track once and for all,” the bill’s author Assemblywoman Cristina Garcia said when the legislation was signed into law. 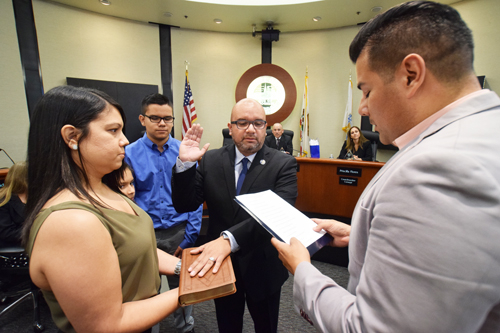 Bell Gardens Mayor Pedro Aceituno will soon be sitting behind two different daises, simultaneously serving on the city council and the Central Basin Municipal Water District Board of Directors. Aceituno received 40 percent of the votes during the Nov. 8 election, beating out Pico Rivera Councilman Bob Archuleta. Aceituno will represent the Water District’s Division 1, which covers the cities of Bell Gardens, Downey, Montebello, Pico Rivera, West Whittier-Los Nietos, and unincorporated areas of Los Angeles County. In an interview before the election, Archuleta told EGP he planned to relinquish his seat on the council if elected. Aceituno did not respond to EGP’s inquiries at the time. However, the mayor now says he will continue serving on the Bell Gardens City Council and told EGP he has no plans to step down, adding he sees no conflict in holding the two public offices at the same time. Under state law, an elected official may not hold two different public offices simultaneously if the offices have “overlapping and conflicting public duties.” The Office of Attorney General Kamala Harris previously took issue with a case in the city of Corona, where a councilman also served as the director of the Water Replenishment District. Wagner tells EGP that as city manager he is the one charged with making any decisions related to water issues or purchases in the city. He noted that Aceituno does not deal with the day-to-day activities involving the water wholesaler. Aceituno has always taken precautions to avoid conflicts, often abstaining from votes or even leaving the room during a vote that could be perceived as a conflict of interest for him, Wagner said. “If there are any potential conflicts I will continue to do the same,” echoed Aceituno. The Bell Gardens mayor – a title that revolves between council members – told EGP that he has not been advised by either the Central Basin or city attorney that holding both elected offices poses a conflict of interest. He added that when he was elected to the water district board, voters were well aware of his position. Aceituno says he plans to focus on helping the scandal-plagued board make changes. In 2007, Aceituno was recognized by the Central Basin for his work making Bell Gardens the first city in the region to embrace a citywide conservation program through use of a conservation grant. “I have experience dealing with issues of water,” said Aceituno, who previously represented the city on the Sanitation Districts of Los Angeles County. Wagner says having good quality, fiscally responsible representatives at the Central Basin will benefit all cities and help water rates stay down. “He’s done well [in Bell Gardens],” says Wagner. “I look forward to seeing better management and organization” at Central Basin. Aceituno was elected to the Bell Gardens City Council in 1999 and is the city’s longest-sitting elected official. He will assume his position on the Central Basin board next month. Just two months after the Central Basin Municipal Water District’s management and board of directors were slammed in a state audit for demonstrating “poor leadership” and widespread mismanagement, including violations of state law, an independently monitored “Ethics Hotline” is now ready to take complaints and reports of possible wrongdoing by the district. The district said the new hotline is part of Central Basin’s “strengthened Ethics Policy that includes a fully independent process for reviewing complaints,” adopted in the wake of the state audit. The state audit, released in December 2015, criticized Central Basin’s board of directors for acting in a way that impeded the district’s ability to effectively meet its responsibilities and to safeguard the district’s long-term financial stability. The audit also found that directors had failed to maintain stability in top management; violated state law in handling of district funds; engaged in questionable contracting and bidding practices and had unduly enriched part-time directors with outsized health benefits, car allowances and by paying for unreasonable travel and meal expenses for both board members and staff. In December, state auditors also recommended allowing the district’s 48 customers — most of them water utilities in cities and unincorporated areas of southeast Los Angeles — be allowed to elect board members rather than the public. “Denying two million citizens the right to direct representation on major water policy issues is contrary to the basic tenets of America government and should only be a last resort, if ever,” they wrote. 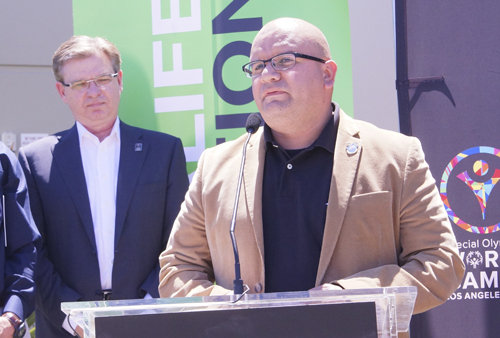 Earlier this month, Sen. Ricardo Lara, D-Bell Gardens, introduced legislation that if approved could change the makeup of Central Basin’s board of directors. Appointees could be from water utilities operating in the district, a change Lara said could translate to increased oversight. S.B. 953 also prohibits the awarding of contracts without competitive bidding, accept in an emergency. The district will work with legislators and water utilities on the issue, said Central Basin spokesperson Joe Legaspi according to media reports. “Key to the District’s progress will be an unhindered investigation process of those issues that negatively impact our ability to serve the 1.7 million residents in our service area,” said Hunt, the district’s sixth general manager since 2010. —People wishing to remain anonymous can submit reports through the independent hotline, which are then referred to the independent investigative firm, Nixon Peabody. The firm will review the complaints to determine if the complaint merits further investigation, appropriate disposition, including referring the information to the County District Attorney, Fair Political Practices Committee, the district’s Administration & Ethics Committee, General Manager or another appropriate venue. The hotline can be accessed on the District’s website by visiting http://www.centralbasin.org/en/anonymous-ethics-reporting-hotline/, by toll-free telephone at 844- 910-0004, by fax at 215-689-3885 or by email at reports@lighthose-service.com.